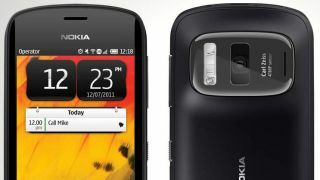 The Nokia Eos exists and will sport the ridiculous 41MP camera found on the 808 PureView according to new sources. The news comes from The Guardian, which has spoken to sources close to Nokia who claim the Nokia Eos is set to launch in the US this summer. Last month we heard separate rumblings that Nokia was working on a smartphone known as Eos destined for its Windows Phone 8 toting Lumia range, which makes the latest report slightly more credible. Nokia doesn't seem to be the only manufacturer developing powerful cameras for its smartphones though, with reports suggesting the HTC M7 will sport a camera which uses ultrapixels rather than megapixels to produce a better quality image. The source didn't comment on the Eos availability outside of the US, but we'd be surprised if the supposedly flagship device failed to arrive in other markets. We'll be keeping our eyes peeled at MWC 2013 for Nokia devices sporting huge cameras, as the Finnish firm used the event last year to launch the 808 Pureview.